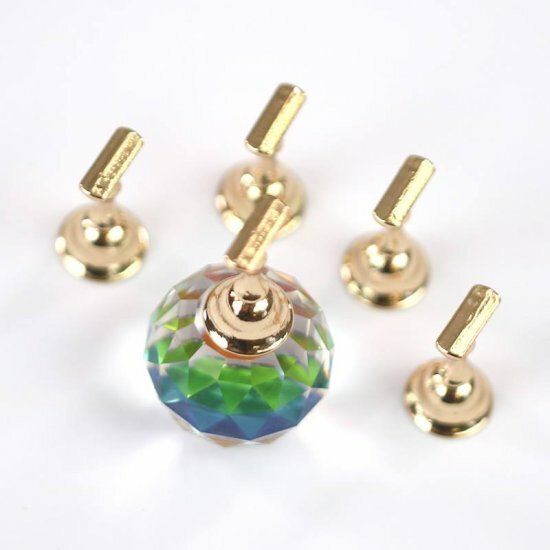 Acrylic diamond shape stand with a magnet and 5 metal tips stands. Available in multi-color, clear, pink or blue. Cute little unit to help me practice! I like the magnetized bottom.